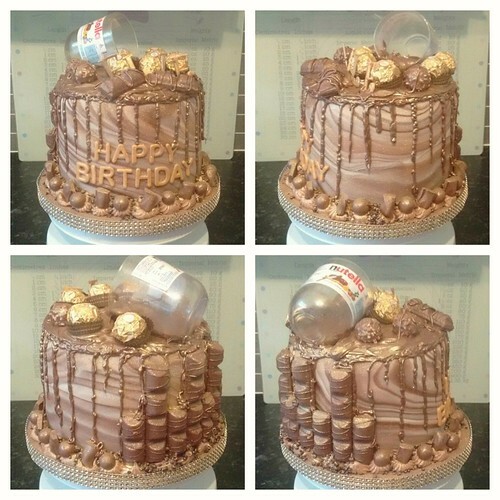 There's Nutella in everything! Almost. 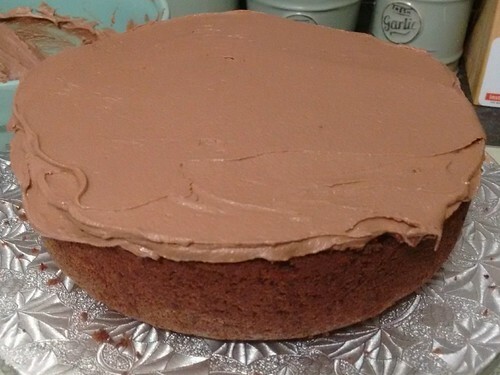 In fact, I used approx 1.2kg of the stuff for this one cake! 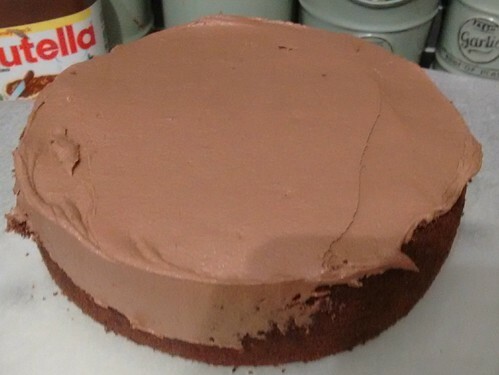 The bottom layer was stuck onto the board with the Nutella frosting. 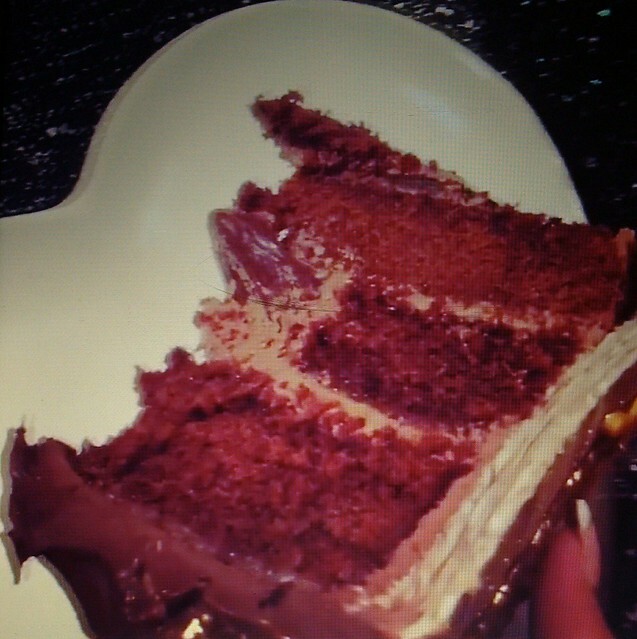 This was then topped of with a generous layer of Nutella frosting. 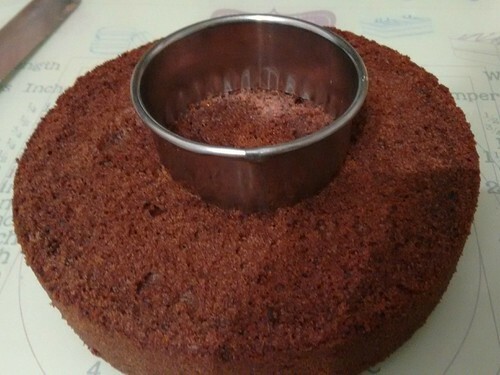 The three tiers were crumb coated and chilled. 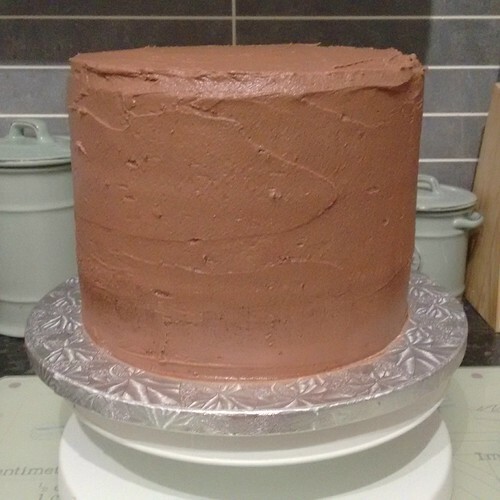 At this stage, because the ganache and frosting have not set, the layer cake was unstable, so it has to be chilled right through before it can have it's fondant coating. This caused a little bit of a problem! 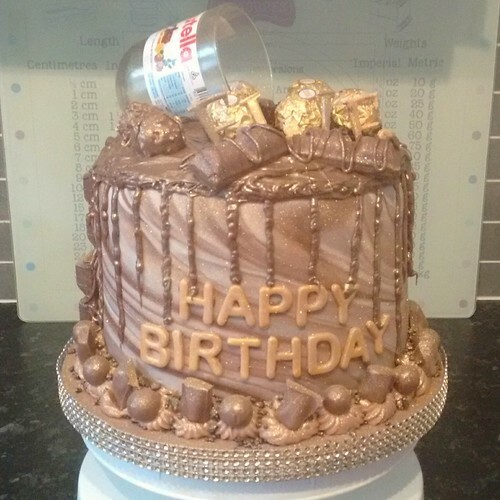 My refrigerator simply wasn't big enough to accommodate the cake - yep, I think I might have overdone it somewhat. 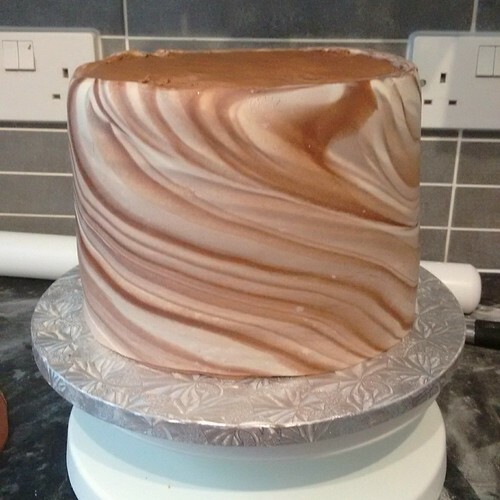 When the cake chilled, it was covered in milk chocolate and white chocolate marbled fondant on the sides. 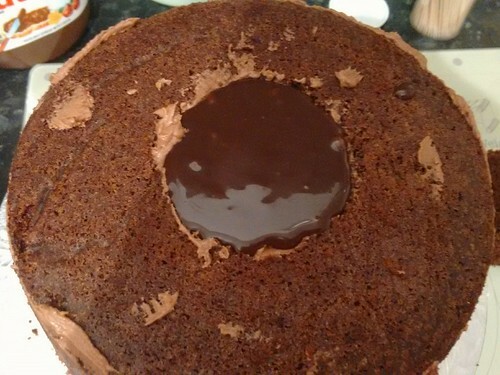 The top was later covered in plain, milk chocolate fondant. 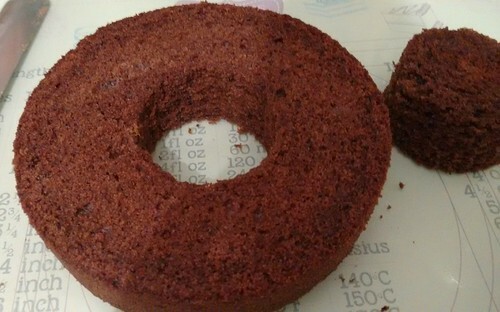 Both processes required to cake to be re-chilled and the fondant trimmed with a blade. The board was then covered in the mixed fondants, this was mixed so it was plain and not marbled. 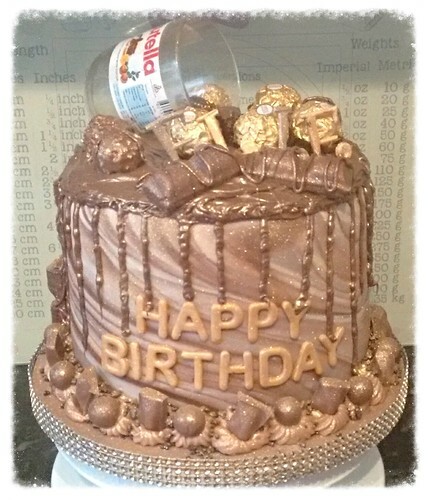 The Nutella was warmed slightly, in the microwave and poured, swirled, pipped and drizzled over the top of the cake. It had to be pipped to imitate drips down the sides as it wouldn't drip by itself because it wasn't warm enough. 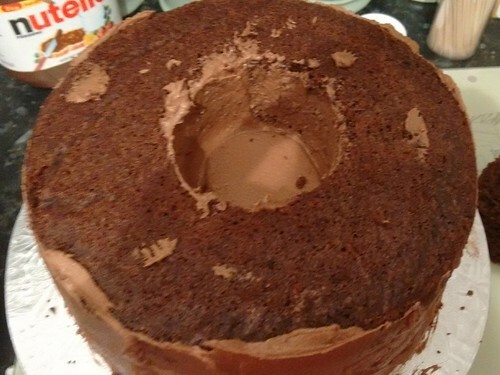 If I had warmed it too much, it would have ruined the cake. Since the taking photos and uploading them, the gold bling board trim has been shortened from four rows down to three.